1. These terms and conditions apply to, tents, pods and lodges. 2. When you wish to make a booking you will complete a booking (online via the website, over the telephone, by e-mail or at the site itself). Once your booking has been accepted we will issue confirmation. Until such time as the booking confirmation is issued the booking is not complete. 3. By making a booking request you warrant that you have the authority of all persons in your party to book on their behalf, you accept these terms and conditions and agree that you will indemnify Mountain Edge against all loss and damage arising directly or indirectly from any act or default by yourself or any person or animal accompanying you. 4. Bookings are not transferable. 5. You must be over 18 years old to make a booking and to stay on site without other adults. 6. 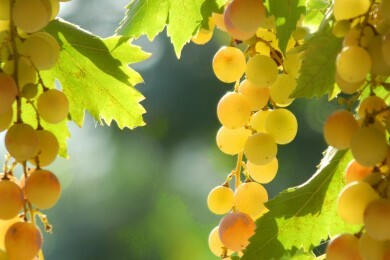 We cater for couples and families and reserve the right not to accept bookings from groups of more than 2 people. 7. We will try to ensure that all services and facilities connected with the site are available to you during your stay. If services and facilities are not available due to circumstances beyond our control no liability will attach to us and you will not be entitled to a refund. 8. We reserve the right to terminate your permission to stay on site immediately in the event that you or those in your party are in breach of these terms and conditions. In the event that permission to stay is terminated as a result of such breach no monies will be refunded to you. a. 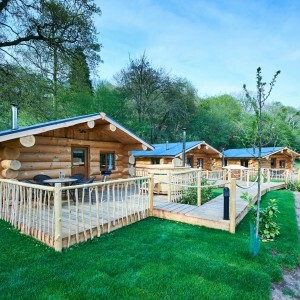 Full payment is taken at the time of booking except for lodges which are 50% up front payment and 50% due no later than 42 days before arrival date. b. In the event that you fail to make payment of the balance as indicated above, the 50% payment then becomes non returnable and your booking will be cancelled. 10. If you want to cancel a booking you must notify us in writing by email. If you cancel up to 28 days before the start date of your holiday your payments will be refunded to you in full and 50% will be refunded up to 14 days before. Should you cancel within 14 days of the start date of your holiday all monies will be lost. We strongly recommend that you take out your own cancellation insurance. Voucher deals are nothing to do with us directly so you will have to check your cancellation details with your voucher provider regarding refunds. We again recommend checking those details before you purchase from them. Third party booking sites and Voucher deals are nothing to do with us directly so you will have to check your cancellation details with your booking/voucher provider regarding refunds. We again recommend checking those details before you purchase from them. 11. We retain the right to cancel bookings at anytime. 12. Monies will not be refunded in the event that some members of your group fail to arrive or you leave the site early whatever the circumstances. 14. 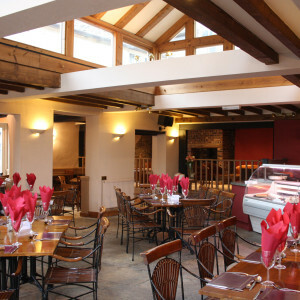 The restaurant, bar and shop on site will be open throughout the season. For details of opening times please see the food and drink section. 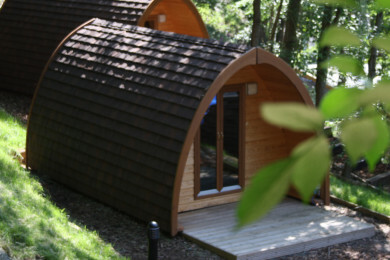 a. Pitches & Pods are available from 14:00 on the date of arrival and must be vacated by 11.00 on the date of departure. b. The basic price of a pitch entitles you to locate one car and one tent. 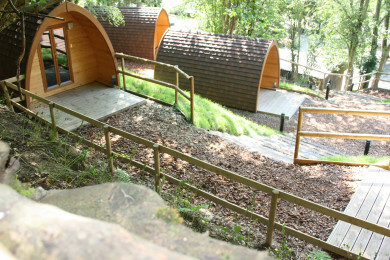 Car parking for Pods and lodges are directly below. c. We will try to allocate you the pitch of your choice but a particular pitch cannot be guaranteed and you will not be entitled to a refund in the event that we cannot allocate you your preferred pitch. 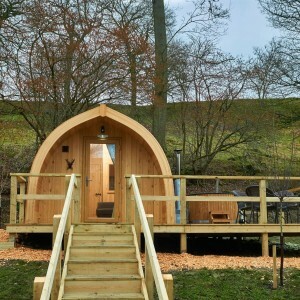 d. In the event that you decide that you wish to stay beyond booked dates we cannot guarantee that this will be possible nor can we guarantee that the same pitch, pod, lodge will be available. 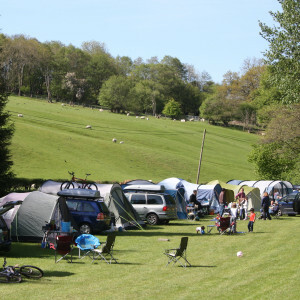 e. The number of people and dogs occupying each pitch, pod or lodge must not exceed the number stated in the booking. 16. Personal belongings are your responsibility and we will not be liable for any personal belonging lost/damaged during your stay. 17. 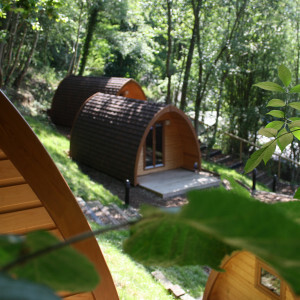 Pods, Lodges & Camping Pitches must be left free of rubbish at departure or an additional charge of £30 may be applied. Bins are next to reception. 18. Dogs must have adequate bedding, any pod or lodge deemed to be unreasonably covered in dog hair or dirt will be charged a £30 cleaning fee to have the pod professionally cleaned.